When appropriate, users can now request access to a division, college, or service group. 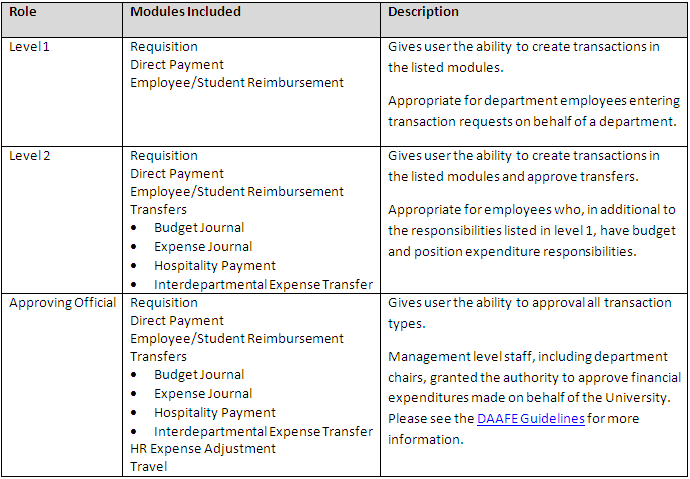 Requesting access in this manner grants the user access to all departments within the specified unit (e.g., College of Engineering – all DeptIDs under the 1234 DeptID). The updated System Access Request form is available for use now. Information Technology Services will continue to accept the old form through Friday, November 1, 2013. Beginning Monday, November 4, 2013, the updated form will be required for all system requests.New FTS users will be required to complete all training associated with the requested role before access is granted. See FTS Roles Access & Training for more information.